We respectfully ask for a minimum of 1-hour notice for any cancellation and rescheduling request. Late cancellations and no-shows leave gaps in our schedules that cannot be filled and prevent us from being able to accommodate other clients. If adequate notice is not given, you will be marked as a no show. Please arrive five (5) minutes prior to your appointment time. We respectfully request your careful attention to the service description prior to booking services specific to your need. Each service has a specific time frame. Please double check your booking before submitting to ensure you are not double booking unwanted services. Due to the back-to-back nature of our appointment book, only pre-booked services will be performed. Our services are precisely timed and scheduled to see as many of our wonderful clients as possible, so if you booked a haircut, for example, you cannot add a beard trim or shave once you’re in the chair. Exceptions will be made only when our schedule allows it. You will be marked as a “No-Show” if you fail to cancel your appointment with less than an hour notice or arrive more than 5 minutes late to your scheduled appointment. If three (3) appointments have been “No Showed”, you will be unable to schedule any future appointments ahead of time but we would welcome you as a walk-in guest when possible. To ensure that we deliver the best possible haircut, shave, beard service and customer service to our clients, we have allocated the necessary time to complete each service. Arriving on time for your scheduled service(s) ensures the proper time necessary to comfortably complete your services. We regretfully cannot satisfactorily complete any service if a client arrives more than 5 minutes late, and we reserve the right to decline any service to a client who is more than 5 minutes late to their scheduled appointment. All appointments are booked through our online Square. Email and text confirmation will be sent immediately upon booking. If you do not receive that notification, your appointment was not booked or you entered the incorrect contact information. This is a very rare occurrence so we ask that you please call us in the event that this happens so we can help sort it out. You will receive a reminder email and text message 24 hours before and again 1 hour prior to your appointment to ensure your appointment still fits within your schedule. Ultimately, it remains our guest’s responsibility to keep their appointment times and update us if there are schedule conflicts or changes to your contact information on file. We are not responsible for incorrect information being submitted by the client at the time of booking. Brooke is, unfortunately, unable to take on new clients. 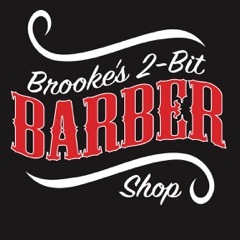 Regular customers (your last 3 visits have been with Brooke) please use the link below to set an appointment. These appointments get manually confirmed and may take one business day to confirm.